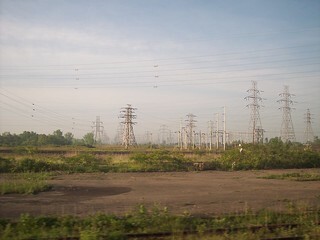 Near Niagara Falls we see a huge mass of power lines, and ride along the Niagara River part of the time. 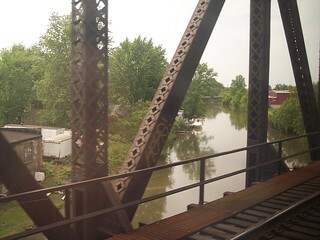 We cross Tonawanda Creek and Ellicott Creek. 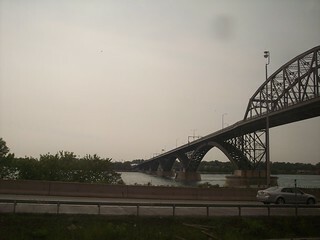 Near Buffalo we see the Peace Bridge to Canada.